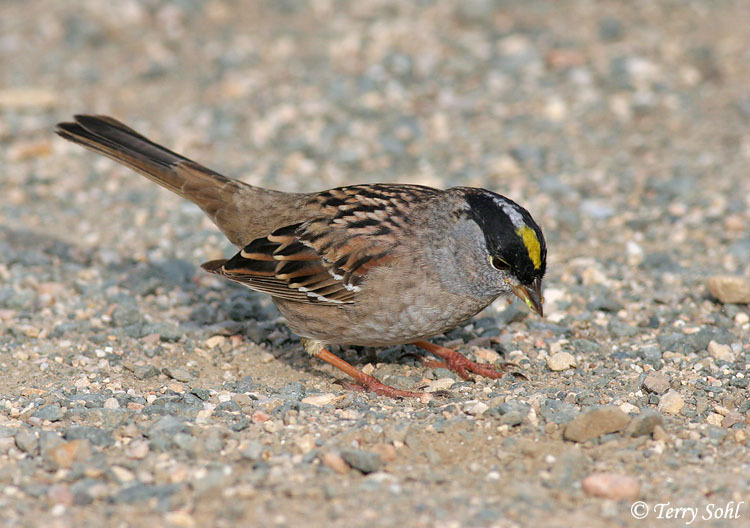 This photo of a Golden-crowned Sparrow was taken on April 19th, 2007 at Point Reyes National Seashore in California. Not the greatest pose in the world, but it does give a very nice view of the species' namesake. Photo taken with Canon 20D, 400 5.6L.